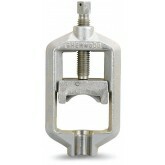 The ammonia gas cylinder valve manufactured by Sherwood is the best quality valve available for ammonia gas management. Made from stainless steel 303, the ammonia valve CGA 240 and CGA 705 comes with a tapped inlet with no pressure relief device. JTC valve sales employees have significant work experience in the compressed gas industry. JTC Valve Sales offer a vast bank of knowledge and experience, the highest quality products, the majority of which are manufactured in the USA, and the most competitive prices on the web. 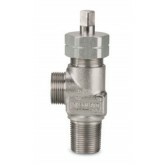 The 1206 A series is the lead carbon steel valve designed for anhydrous ammonia. All that is related to ammonia gas cylinder valves is available at the JTC valves sales warehouse if it is not listed here. 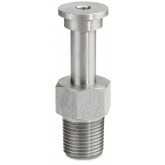 Call now to find the ammonia valve at the best price.